With its bright red and blue logo and its location on the corner of a major junction in Sutton Coldfield, Escape Time is easy to get to and hard to miss as you’re driving past. Once inside, there’s a functional but reasonably sized waiting area, where we got a friendly greeting from the GM. After a few minutes of chatting, we were a little surprised to be told that we were waiting for another group to arrive. The reason is that they like to do a single (video) briefing for all three games at once, but the upshot is that, if one of the other teams turns up late, you’ll be waiting around until either they appear or the staff decide that they’re no-shows. After the video, it’s off to the room, where your game’s GM gives you a room-specific briefing. Yes, in case you were worried, you’ll have a dedicated GM during the experience. The Chocolate Factory has malfunctioned and has run out of ingredients. The problem is the owner is away on holiday leaving you an hour to find all the ingredients locked away and to fix the machine in time before we run out of stock. Will you be able to keep your cool and keep the customers happy by finding the ingredients and fixing the machine in time? Walking into this room is pretty much exactly what you’d expect. There’s a cartoon industrial feel to the space that creates a Willy Wonka vibe. In truth, some elements of the set aren’t entirely polished, but it’s full of bright colours and fun things to investigate, which was more than enough to reel me in. There’s a small amount of searching to be done, but this room is mainly about solving puzzles interspersed with a couple of physical challenges. For me, the highlight came in the form of three puzzles that significantly benefited from teamwork. In addition, one of them was a really interesting take on a fairly traditional idea. The challenges were logical, with us not requiring clues during the game. When we did hit slowdowns, it was very much because we’d missed something pretty obvious. The biggest flaw was probably a lack of player feedback; on a couple of occasions we correctly solved puzzles but kept on trying to input the solution due to that lack of feedback. If you’re a purist, it’s worth noting that some outside-the-room knowledge was required during the game. On one occasion, it felt like it was such universal knowledge that I could forgive them. On the other, however, while I suspect that most teams will be fine, we really struggled but had just about enough knowledge to get there with a bit of trial and error. There’s the briefest of stories to the room, but really it’s all about solving puzzles to collect the necessary ingredients, which provided a very tangible sense of progress during the game. Everything works towards you collecting the ingredients for the chocolate bar, and the game is brought to its conclusion by you dropping them into the machine according to the recipe. This is just a minor point, but putting some of the items into the machine was a little fiddly (especially for one ingredient), which caused a slight stutter to what was otherwise a wonderfully silly ending. Our team of two escaped in forty minutes without taking a clue. The clue system’s pretty fun, though, so don’t worry if you do need to request help! If you want something with a complicated storyline or puzzles that will make your head hurt, you should look elsewhere. 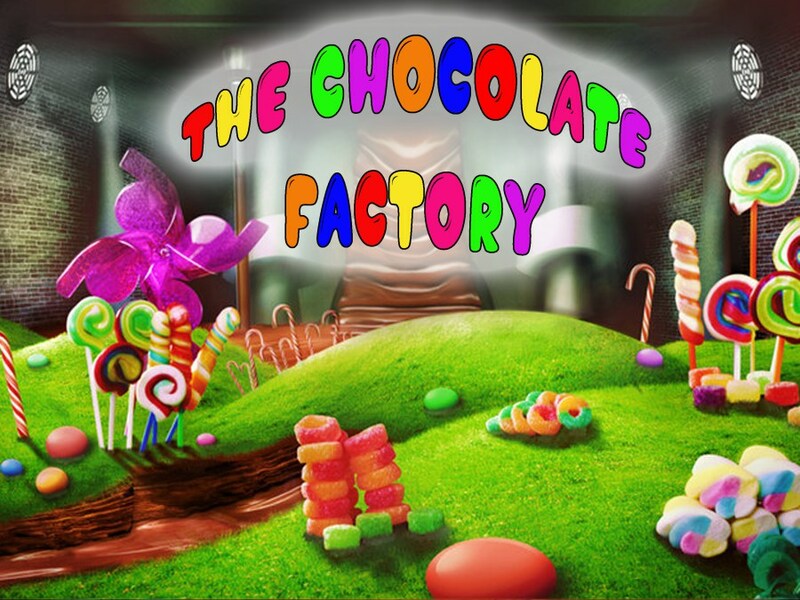 If, on the other hand, you want something light-hearted with logical puzzles that won’t tax the brain too heavily, then I think you’ll have a fun hour playing the Chocolate Factory. It’s not a large space so, given the difficulty level and the fact that it has a mainly linear feel to the puzzle flow, I think this is a great room for couples or families. I wouldn’t recommend going beyond three enthusiasts and, even with novices, I’d be keeping the numbers down to prevent overcrowding.